Yesterday, IBM announced the formation of a centralised Internet of things (IoT) business unit within the company. The entity will receive $3 billion in funding over the next four years, an indication of IBM's dedication to business models based on the connectivity of objects and the value of the information they can gather. IoT has earned the promotion within IBM at a time when sensors, cloud storage and the analysis of big data are intersecting. The intelligence from data-mining algorithms has become a high-value asset. The announcement is confirmation that the Internet of things has formally moved beyond the skunkworks phase into a sovereign business opportunity. It follows similar moves by Cisco, Ericsson, Intel and others during 2014 to scale up the IoT effort. The ubiquity of small, low-cost sensors and robust connectivity has reached a critical mass — IBM estimates that more than 10 billion devices are now connected to the Internet and have the potential to contribute to a catalogue of data. The company cites the convergence of technologies as the enabler of opportunities: cheap embedded computing, connectivity, cloud storage and powerful analytics. 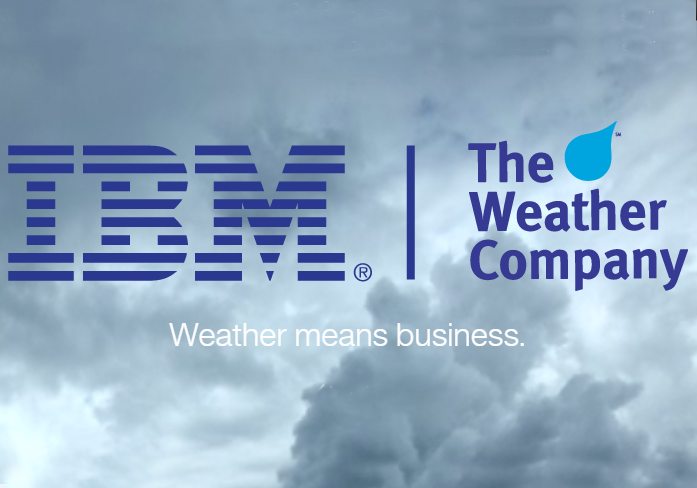 IBM also unveiled a partnership with The Weather Company, a firm collecting weather-related data from up to 100,000 sensors on a continuous basis. Together, IBM and The Weather Company will collect and store data in the IBM Cloud from a growing number of sources. The data will then be fed into IBM's Watson Analytics, shaping it into information useful to insurance, utilities and logistics firms. IBM stressed the importance of partnerships in establishing an IoT platform through which firms can contribute data for analysis. The company isn't alone in developing inter-industry alliances, with the likes of Amazon, Facebook, General Electric and Google looking to utilise their global presence and information knowhow. A diverse set of enterprises and government agencies will work together to collect and make use of a scattered bits of data. The number of connected things isn't growing in a linear fashion, but rather exponentially. Small, lower-cost items from Lego to light bulbs are being hooked into networks, sometimes to the detriment of security. Durable goods like fridges, cars and cranes will take time to cycle their way into connectivity, but this is happening as predicted. New categories of devices such as wearables will bring macro data collection down to a very personal level. Growing connectivity has the potential to disrupt many established markets, and will require companies to consider any long-term implications to their industries. It's reminiscent of the early days of the Internet, and the few brick-and-mortar retailers who saw the potential opportunities to leapfrog the competition. But there weren't many who did so. CCS Insight believes that companies across all industries should monitor developments and consider even far-fetched business disruption scenarios. Ignoring IoT won't make it go away. IBM's announcement could be a wake-up call for companies that have considered IoT and big data as science projects rather than real profit-or-loss centres. But there are many variables to keep in mind, including analytics, privacy, regulation and security. Companies will need to develop or partner to gain a new generation of expertise in areas like cloud and ubiquitous computing, big data apps and machine-to-machine transactions. IBM refers to the longer-term potential of cross-category connectivity as "device democracy". Many — but not all — industries and companies will be affected by the developing Internet of everything, and should consider their place and the opportunities in logistics, products and value of their data. CCS Insight believes that "the Internet of things" is a deceptively simple way of describing the immense diversity of connected products coming online. Not all nodes are worth tracking, and some could certainly contribute diminishing returns, so weeding will be required to find true value in the superfluous. The imminent development of an information infrastructure enabled by a network of objects could be as disruptive as the introduction of electricity and the Internet. It will get into almost everything.